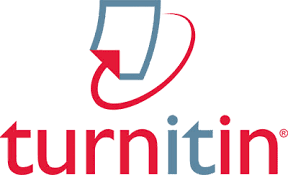 Turnitin is a United States-based commercial service launched in 1997 which is used by universities and high schools across the world with the aim of identifying plagiarism. Higher education institutions using anti-plagiarism software saw a more than 40% decline in plagiarism which, in turn, led to a huge increase in the number of papers graded online. This was according to Cape Town-based software provider Eiffel Corp which on Thursday said that institutions using online plagiarism-detection services such as Turnitin had shown successes in combating plagiarism. Turnitin is a United States-based commercial service launched in 1997, which is used by universities and high schools across the world with the aim of identifying plagiarism. A recent study has revealed that South African higher education institutions using Turnitin enjoyed a 44 percent decline in plagiarism and saw a 3,012% increase in the number of papers graded online between 2010 and 2014. The research further indicated that higher education institutions in 12 of 15 countries using Turnitin reduced unoriginal content by more than 30 percent. The majority of content matches from highly plagiarised submissions came from matches to other students’ papers rather than from websites, academic textbooks or journals. Turnitin has been used at the University of Pretoria (UP) since 2008 and during that year, 4,354 papers were submitted via the platform. By last year, that number had risen to 150,563. Nearly half the papers in 2008 had similarity scores of 25% and higher, corresponding to material published on the web or assignments submitted by other students. As high similarity scores might indicate the presence of plagiarism, UP started with a drive to increase the originality of assessment papers, inter alia through adopting an academic integrity and plagiarism policy that created channels for educating students about plagiarism, as well as introducing severe repercussions in cases of proven plagiarism. The policy was shared on the library website and to academic departments, and subsequently widely noted and incorporated in assessment instructions across the university. Professor Wendy Kilfoil, director of the department of education innovation at UP said lecturers were making more use of Turnitin assignments, owing to the value and convenience, and students were spending more time and effort on the correct referencing and preparation of assignments after the first submission and resubmission. “Basically 70-80% of submissions have similarity scores of less than 25%, which means that most students are basically trying. Given that similarity reports are not evidence of plagiarism, an even higher percentage of students are doing their own work with integrity,”said Kilfoil. Kenyan health librarian Rosemary Thiong’o received an honourable mention recently in the Turnitin Global Innovation Awards 2017 Moving forward with integrity. Thiong’o plays a key role in ensuring academic integrity and improving on original work for the Aga Khan University in Nairobi, which offers nursing, midwifery and medical training. According to Myles Thies, director of digital learning services at Eiffel Corp, digital modes of learning has had an impact on academic integrity.